Bitter~Sweet ™: Eight . . . Eight years ago today I started Bitter-Sweet. Yes, there are a few posts written in the beginning of 2008, but those were originally published over at TuDiabetes back when members had the capability of creating a blog on that site. But June 21, 2008 was the day I created this blog site and my Bitter-Sweet journey began. 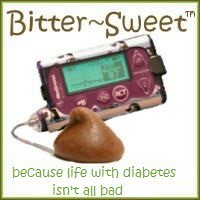 Now I will admit, given the chance I would opt out of diabetes in a minute. 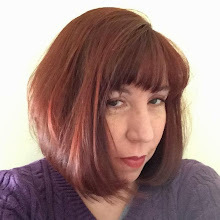 But since that isn’t about to happen any time soon, I’m so thankful I have this blog to help me connect with other fabulous PWDs and share all my ups and downs. With that in mind, here are eight wonderful things that probably wouldn’t have happened if not for my blog . . . . Becoming an Educated (and thus, Healthier) Patient. Becoming an Advocate and going to The Hill. Doing Art for a Book Cover. Coordinating Diabetes Blog Week seven times over!! Learning about and Attending Patient Conferences!! Meeting so many Awesome PWDs who are Family to Me. And yes, that collage is more than 4 years out of date, and would be so much bigger now! Thank you to everyone who had read or commented or tweeted or befriended me in the past eight years. My world is a much better place because of you. Hey you picked a great day to start Bitter~Sweet. It is such a pleasure to be your friend. I referred your article to the TUDiabetes.org blog page for the week of June 20, 2016. Woo Hoo!! Congrats on 8 successful years!! I'm very thankful I found ur blog!! U get me like no one else...u have T1 AND u knit. Knitting is high on the list of my favorite activities!!! Here's to many more years of Bitter-Sweet!!! HUGS!!!! Happy Eight Years to you! Happy 8 Years!! And Many more to come!